In a huge win for the US patent system and all intellectual property holders, that there is value to Qualcomm's entire patent portfolio, both standard essential patents and non-essential patents, by accepting a license agreement and ending all current hostilities aimed at the company. arguments in the case at the center of the dispute between Apple and Qualcomm, the two parties announced a settlement that includes the end of all legal actions, a six-year license of Qualcomm's intellectual Property (IP) portfolio, and a agreement to purchase chipsets from Qualcomm. This dispute has embroiled Apple's contract manufacturers, courts, and regulatory bodies around the globe as both parties geared up for what looked like a battle to the end. So, the seemingly quick settlement came as a surprise to everyone, and the ramifications are huge. The first question that comes to mind is: why now? With the decision of the FTC case against Qualcomm, which is essentially-based on Apple's complaint, still in the hands of Federal Judge Koh, it seemed unreasonable to see a settlement before the end of the FTC case. Is there a decision expected in the case? Is the FTC and Qualcomm planning on settling? No one really knows. However, the details of the settlement offer a clue. 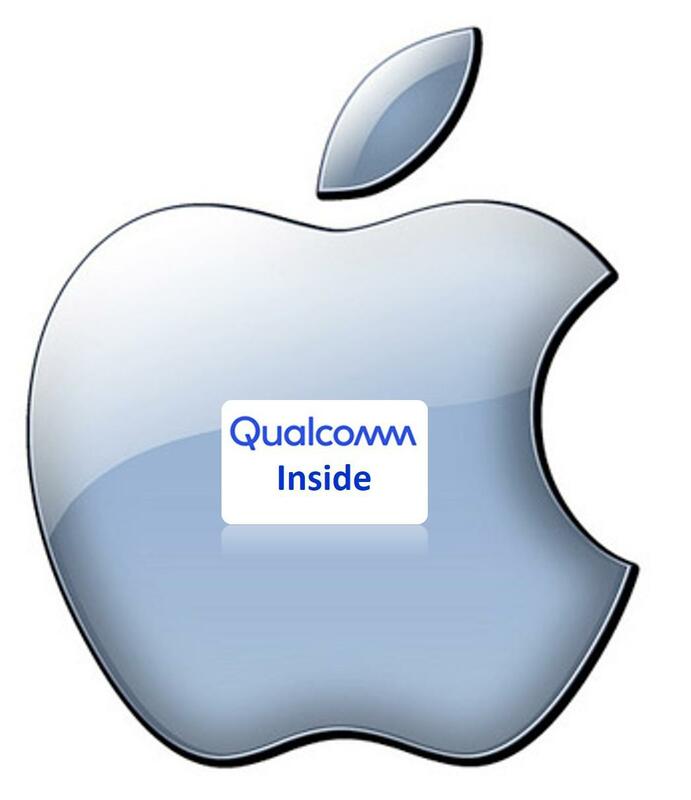 The fact that Apple has agreed to once again purchase chips from Qualcomm for what is likely 5G versions of the iPhone, appeared to indicate that Apple was concerned about the schedule for 5G modems from Intel, it's current and sole modems supplier. Just hours after the announcement, Intel announced that it was exiting the modem market for 5G smartphones. TIRIAS Research believes that there was growing discord between Apple and Intel as a result of Apple's efforts to develop its own modems. Apple is Intel's only smartphone customer and investing in future technologies appeared futile if Apple was planning to integrate its own modems into future Apple mobile SoCs. Intel, however, is still evaluating opportunities for other applications outside of smartphones, which are extensive as Internet of Things (IoT) devices adopt 5G. theoretically offer a 5G iPhone as early as spring 2020 if the company starting designing Qualcomm modems into the upcoming iPhone designs now. TIRIAS Research believes that Apple will likely continue with its annual launch event in the fall with a new line of iPhones, but likely offer a 5G version as early as spring 2020. This also means that Apple will be licensing 5G IP from Qualcomm and other license holders under the Fair, Reasonable, And Non-Discriminatory (FRAND) terms established by ETSI, not just over the next six years, but throughout the 5th th generation of wireless technology. Licensing for the 6 th generation will depend on Apple's participation in future standards efforts and IP development, which Apple has not previously done. So, even if Apple develops and integrates its own modem technology, Qualcomm will still receive IP royalties even if the company eventually loses the Apple chipset business. With most of the regulators around the world validating Qualcomm's wireless licensing model and rates, including the recent decision by the Japan FTC to drop all challenges, Qualcomm's business model remains intact and a viable going forward. The agreement with Apple also ensures Qualcomm will supply modems and possibly RF chipsets for the first generation of 5G iPhones, but given Apple's late start to developing modems, this could easily extend to the next two or three generations of iPhones. Note that most of the early 5G smartphones are using Qualcomm mobile SoCs, modems, and RF chipsets. This will also put pressure on the FTC to settle or Judge Koh to rule in favor of Qualcomm in the FTC lawsuit. With other international regulatory decisions, at least one current U.S. International Trade Commission (ITC) decision, and other court cases going in Qualcomm's favor, it would be hard to imagine a decision against Qualcomm in the FTC lawsuit. Members of TIRIAS Research attending some of the FTC lawsuit proceedings and found the FTC case lacking in both evidence of market influence or harm . The settlement is a huge win for the US patent system and all IP holders because one of the key arguments in Apple's lawsuit, and implied in the FTC's lawsuit, is that non-essential patents are worthless. In the recent civil case linked to the first ITC case, a jury found that just three of Qualcomm's patents were worth $ 1.40 for each handsets using the technology. That's just a small fraction of Qualcomm's 140,000+ patent portfolio, which is primarily non-essential patents. An Apple win on these assertions would have made it easier for licensees to void licensing contracts and devalue patents of all U.S. IP holders, not just in the wireless segment or tech industry. Imagine a medical patent being deemed worthless because it was not directly tied to saving a human life. The entire U.S. IP system can breathe a sigh of relief. The settlement will also bring an end to Apple's predatory practices towards IP holders and ensure some stability in the IP licensing model for the wireless industry . This is beneficial not only to smartphones and other mobile devices, but also automotive and other industrial applications planning to leverage 5G. While TIRIAS Research had predicted an end to this saga by summer, the timing was still surprising. The outcome, however, is beneficial to the entire high-tech industry. In a huge win for the US patent system and all intellectual property holders, Apple admits that there is value to Qualcomm's entire patent portfolio, both standard essential patents and non-essential patents, by accepting a license agreement and ending all current hostilities aimed at the company. Apple also tacitly acknowledged Qualcomm's modem leadership. Just after completing opening arguments in the case at the center of the dispute between Apple and Qualcomm, the two parties announced a settlement that includes the end of all legal actions, a six-year license of Qualcomm's intellectual Property (IP) portfolio , and an agreement to purchase chipsets from Qualcomm. This dispute has embroiled Apple's contract manufacturers, courts, and regulatory bodies around the globe as both parties geared up for what looked like a battle to the end. So, the seemingly quick settlement came as a surprise to everyone, and the ramifications are huge. This will also put pressure on the FTC to settle or Judge Koh to rule in favor of Qualcomm in the FTC lawsuit. With other international regulatory decisions, at least one current U.S. International Trade Commission (ITC) decision, and other court cases going in Qualcomm's favor, it would be hard to imagine a decision against Qualcomm in the FTC lawsuit. Members of TIRIAS Research attending some of the FTC lawsuit proceedings and found the FTC case lacking in both evidence of market influence or harm. The author and members of the TIRIAS Research staff do not hold equity positions in any of the companies mentioned. TIRIAS Research tracks and consults for companies throughout the electronics ecosystem from semiconductors to systems and sensors to the cloud. Members of the TIRIAS Research team have consulted for Apple, Intel, and Qualcomm.